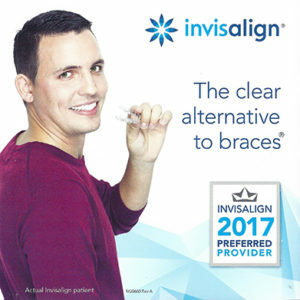 Do you want to completely redesign your smile without orthodontics or invasive procedures? Look to dental veneers in Logan Square from A Brush Above Family Dentistry for a cosmetic dentistry option. Veneers are thin shells made from of porcelain or resin composite materials that are custom-made to cover the front side of your teeth. Veneers work by covering up unsightly stains or chips, while also hiding uneven teeth, worn down teeth, and/or abnormally spaced teeth. Receiving dental veneers is usually a multi-step process that involves at least three office-visits to complete. During the initial consultation, Dr. Guzman or Dr. Fidel will perform a full examination and evaluate your teeth to ensure you are a candidate for veneers in Logan Square. On your next visit, he or she will begin the process by removing approximately ½ millimeter of enamel from the tooth surface—this is roughly the same thickness of the veneer. Then Dr. Guzman or Dr. Fidel, our dentists in Logan Square, will take an impression of your teeth, which is used to create the veneer. Once the veneer is fabricated, it is ready to be bonded onto the tooth. Dr. Gusman or Dr. Fidel will determine the finished shape of the dental veneer in Logan Square and the shade is correct. However, before this happens, our Logan Square dentists will apply a gel to the teeth in order to create a rough surface that the veneer can bond to. He or she will then apply the bonding agent and place the veneer. Interested in dental veneers in Logan Square? Contact A Brush Above Family Dentistry to schedule a consultation today!